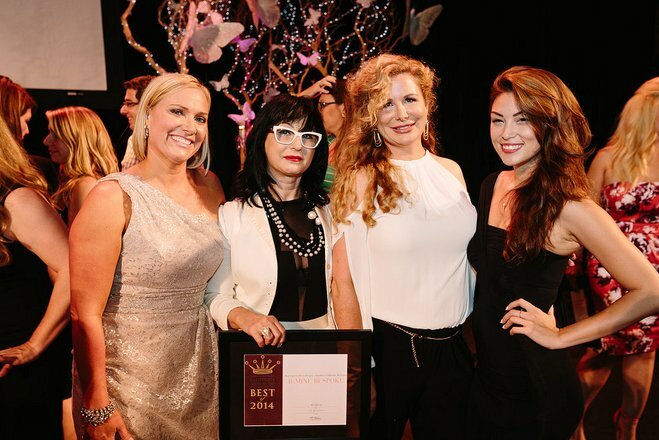 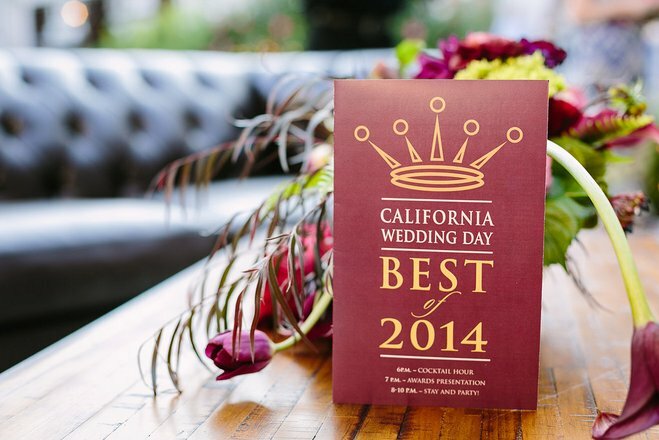 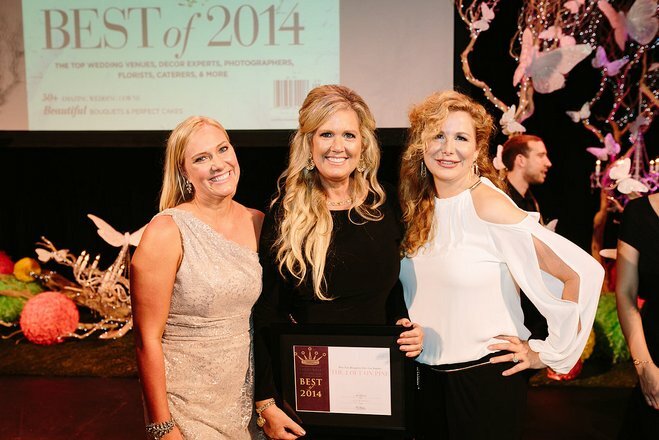 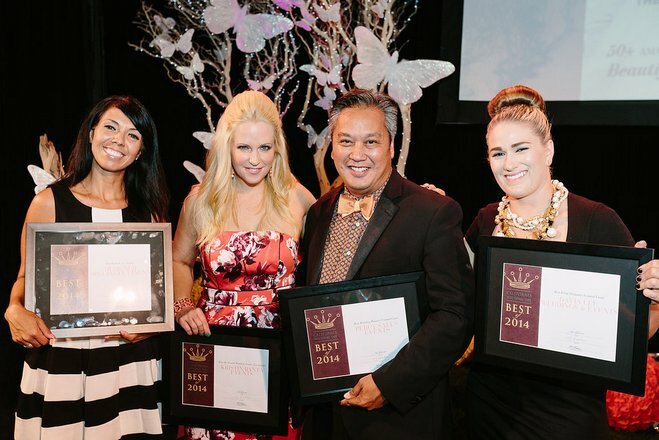 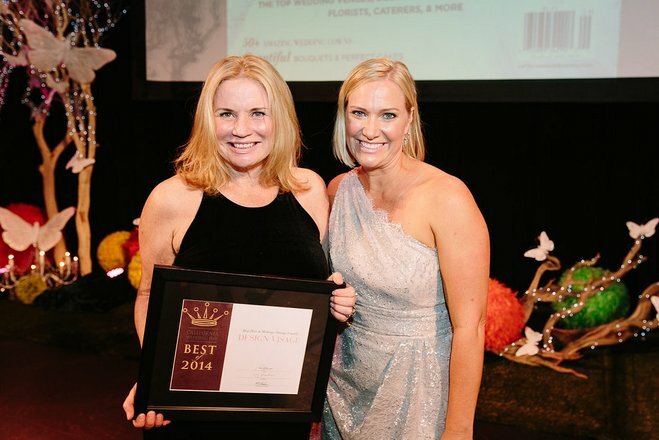 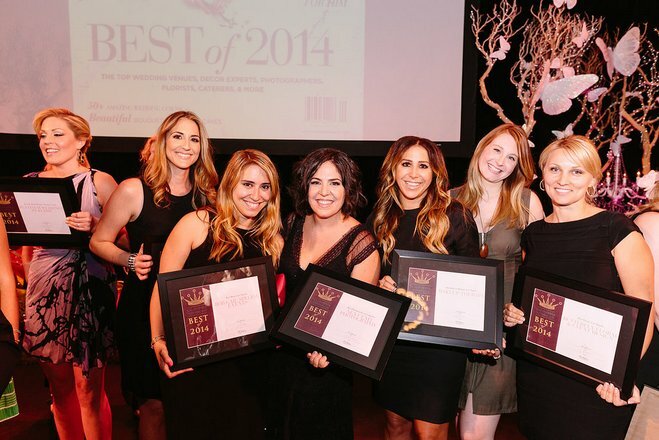 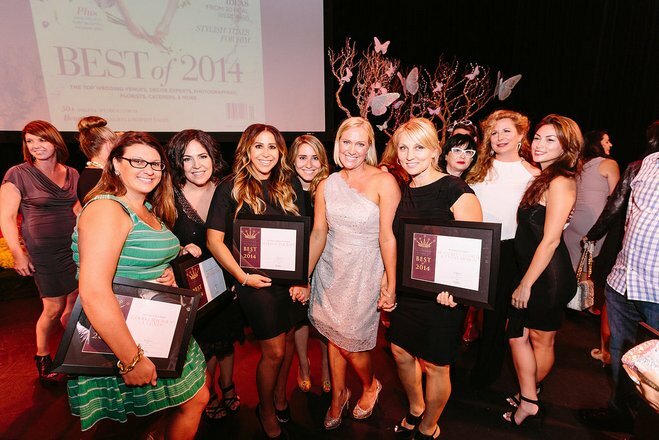 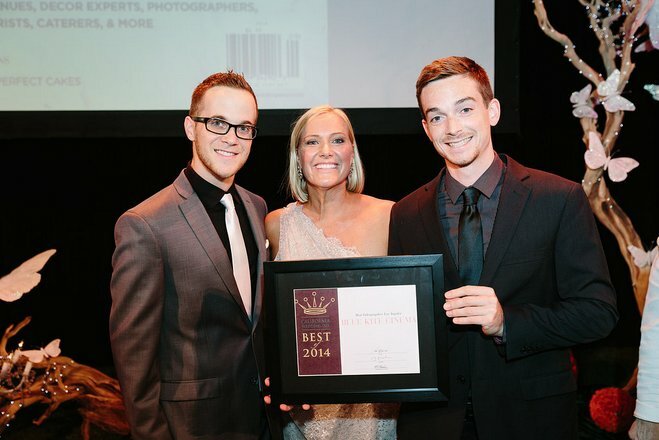 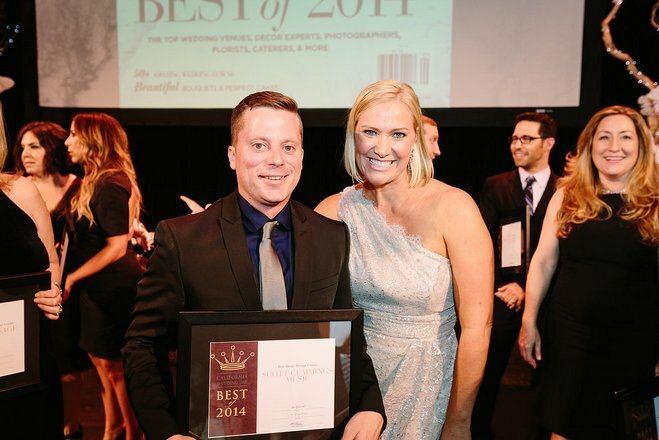 We announced the winners of California Wedding Day’s Best of Bride 2014 at a special, industry-only event hosted at The Ebell of Los Angeles. 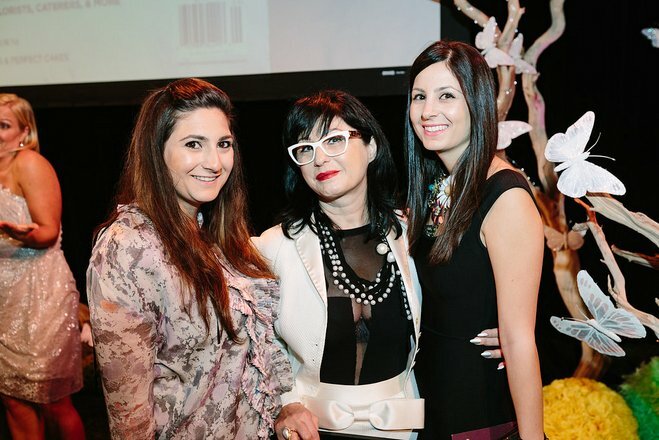 More than 600 invited guest attended and were treated to an amazing and memorable celebration. 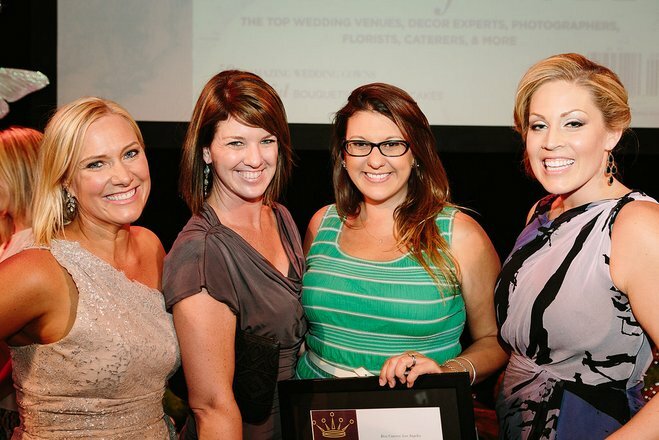 The evening began with cocktails in the Ebell’s courtyard (check out our Facebook galleries for more candid photos) with dramatic uplighting setting a sultry scene with cocktails flowing from Ebell’s in-house mixologist Pharmacie LA and tray-passed appetizers from Ebell’s executive chef Louis Pechan to whet everyone’s appetite. 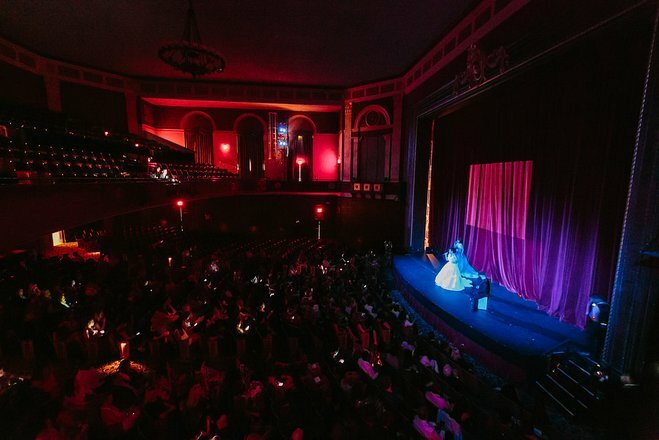 Then it was off to the historic theater where The Replicas kicked off the award ceremony with a stunning a capella performance of Lourde’s “Royals” with lead singer Veronica Puleo in a beautiful R-Mine Bespoke gown. 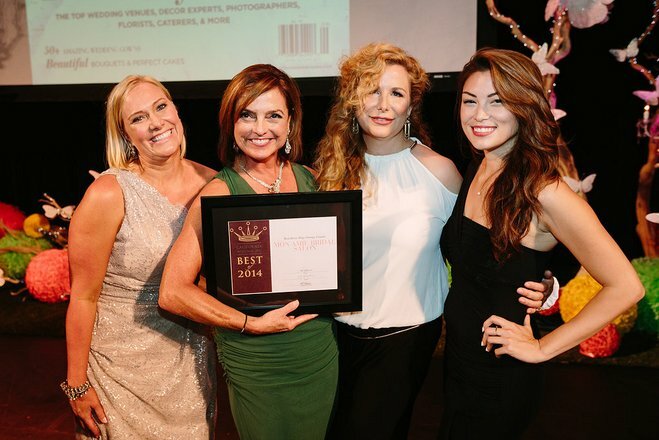 Digital mapping by Luxury DJ’s enhanced the moment--creating a cool visual impact while Hey Mr. DJ's DJ Lee kicked off the award show. 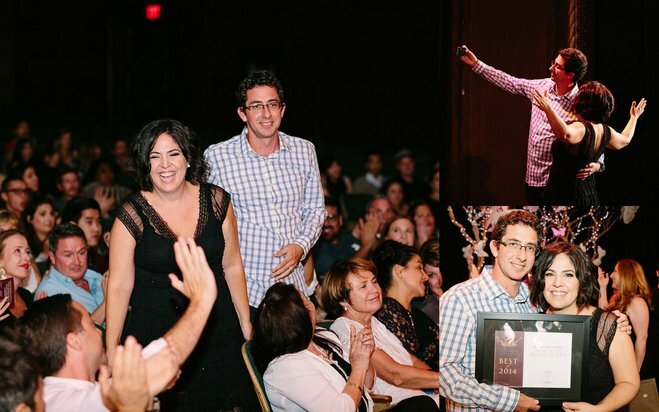 Finally, it was time to announce the winners. 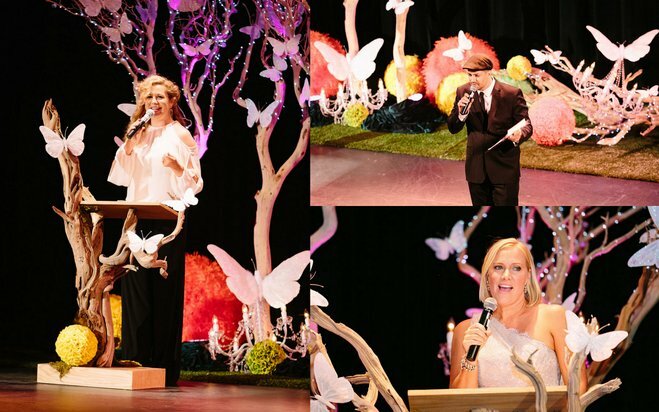 California Wedding Day’s publisher Thea Hargrove, associate publisher Jessica Stafford and editor Lara Burnap took to the whimsically decorated stage, designed by Palm Springs’ Artisan Events. 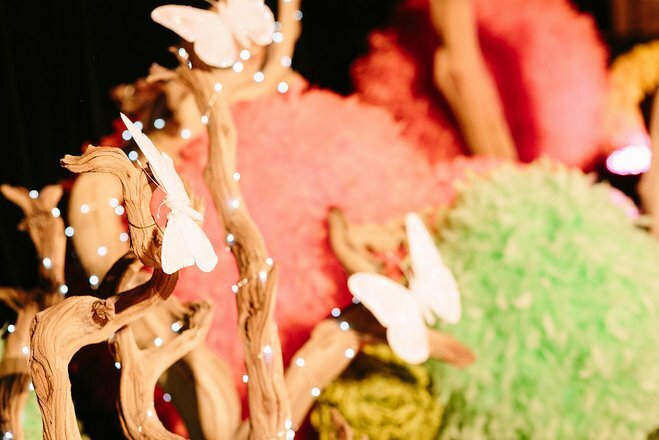 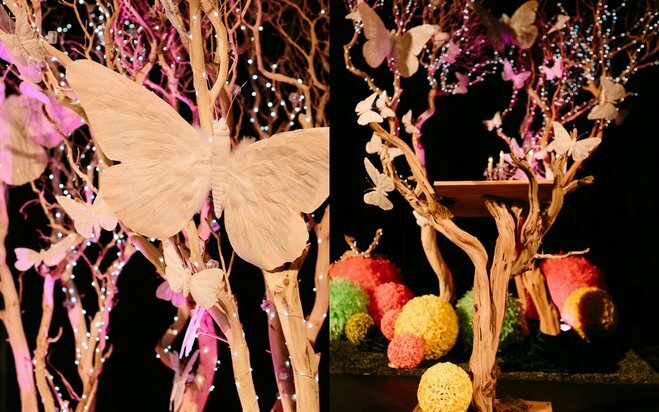 Playful floral balls, beautiful arched driftwood trees and butterflies created a garden-like setting for the award show (see more below! 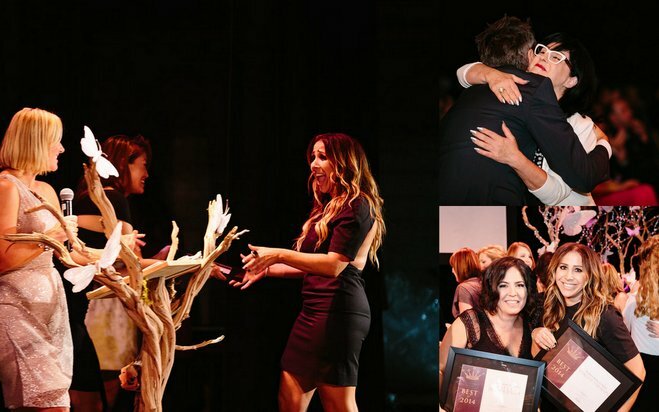 ), where the nominees and winners were announced. 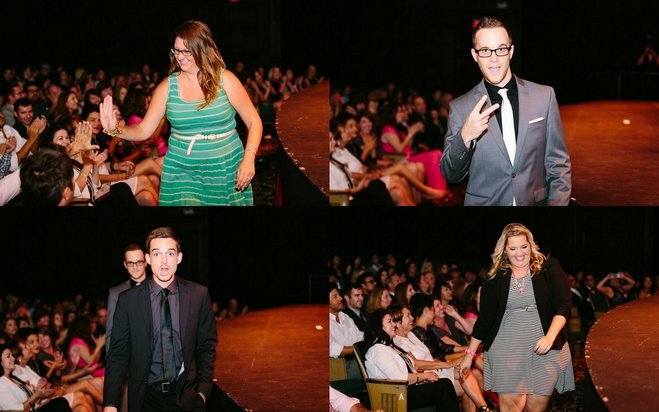 Experience it all over again by watching the complete video created by Expressionary Films from the awards show below. 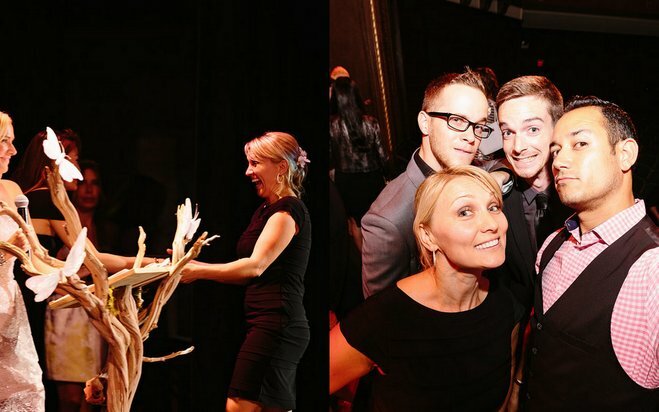 And then it was time to party! 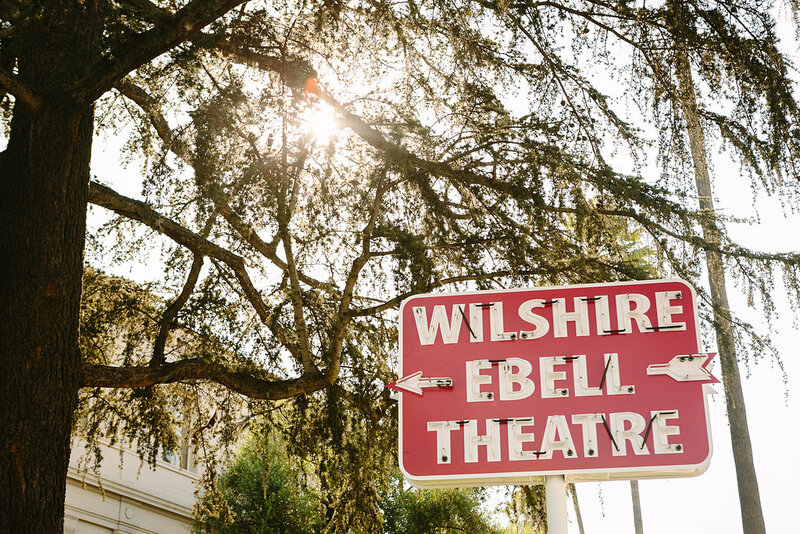 The three main areas of The Ebell were transformed by three sets of designers into beautiful, amazing wonderlands. 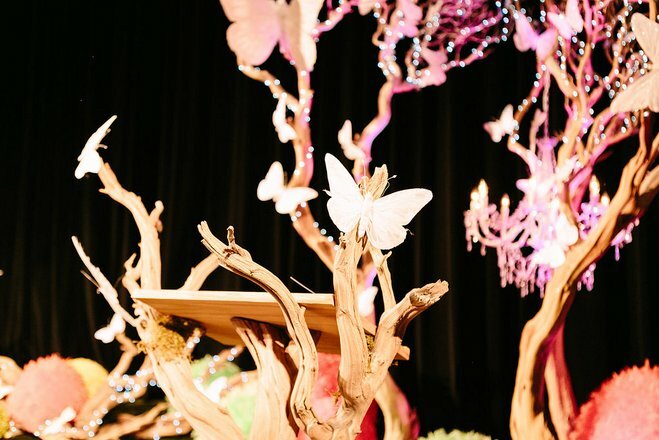 Crowds gathered to nab fortunes from the lover’s tree in the dining room’s lushly romantic Forbidden Garden created by Sterling Engagements, delighted in a cool slo-mo photo booth, cotton candy and killer crepes in the Ebell's lounge designed by Expressionary Events and finally, in the art salon, Archive Rentals transported guests to New Orleans--from the jazz-vibe of Bourbon Street to the downhome mood of the Bayou. 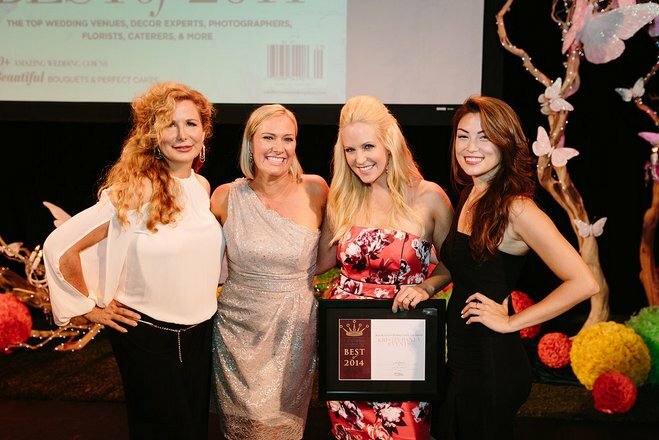 Be sure to check out all incredible vendors listed below who came together to help create this amazing party with us at the magnificent historic Ebell, complete with a deliciousmenu whipped up by The Ebell’s executive chef Louis Pechan--from a raw oyster bar to mole enchiladas. 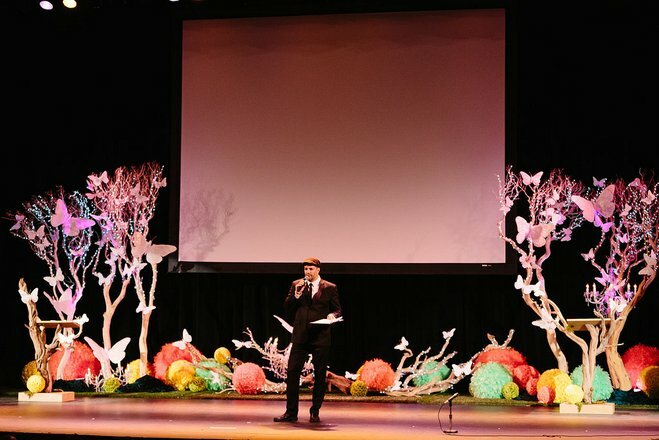 Keeping track of every moment was a cinch with social media moments blasted out on monitors throughout the space from Enplug. 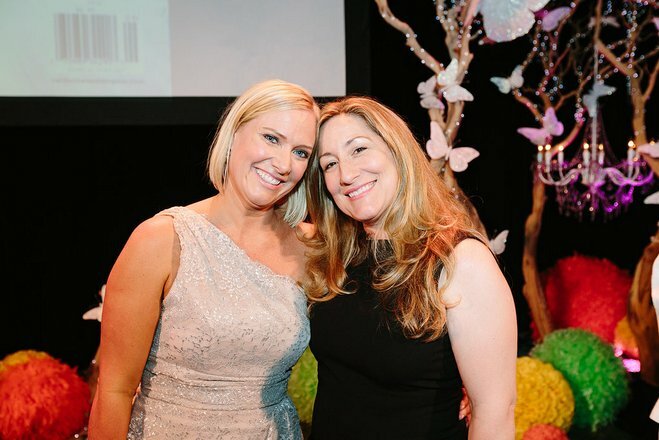 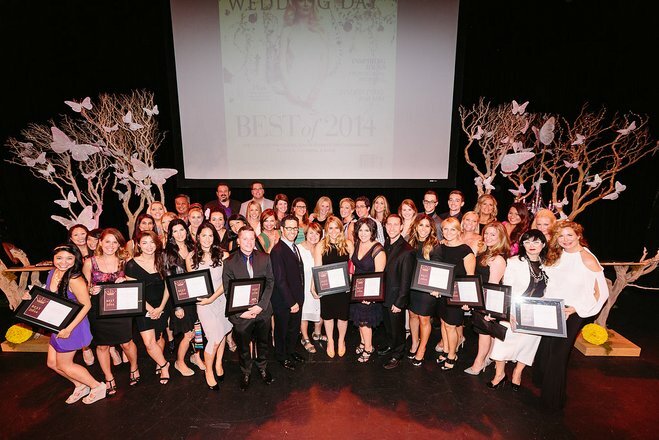 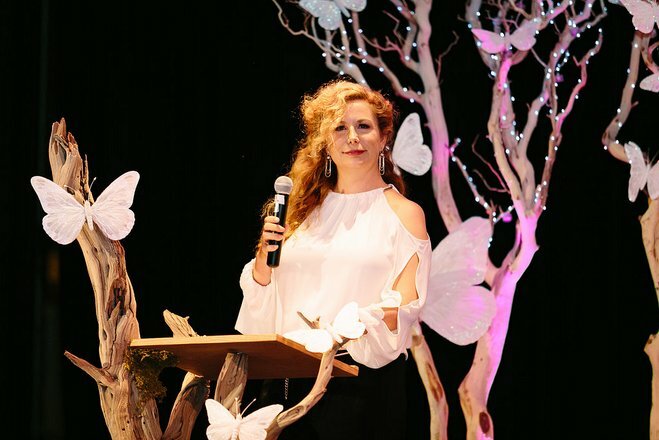 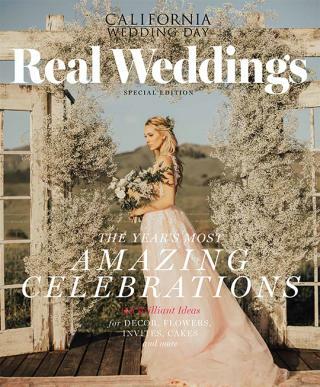 It was such a truly unique and wonderful celebration for the wedding industry and California Wedding Day team was truly honored to share this night with all of our nominees, winners and fun-loving guests.